Remember Web 1.0, when blogs were really logs? You know, diary-like accounts of events befalling the writer? The sense that every instant of one’s life needs preserving and broadcasting got absorbed into Facebook and Twitter and Instagram, I suppose. Today blogs are more likely to feature essayistic thinking. People slow-cook their blogs more, it seems to me, and they write in a reflective mode. Since our blog has always been, um, expansive in such ways, I welcome the Ruminative Turn. Because we write long, and maybe because we’re a bit chatty, a few of our entries have become published, suitably spruced up, as “real” articles for diverse audiences. Some overseas journals, both print and online, have published translations of pieces available here. Thanks to the good offices of the University of Chicago Press, a gaggle of our entries became a book, Minding Movies. Lately, three of our blogs have wriggled their way into paper—two as DVD liner notes, and a third in an imposing rectangular solid that is sort of a mega-book. All are aimed beyond the academy. Two summers ago our friend Gabrielle Claes tipped me to a visit by Kurosawa Kiyoshi, accompanying a screening of his Penance (Shokuzai) at the Brussels arthouse Cinéma Vendôme. Of course we went, and we had a good time with the film and the Q & A that followed. I duly wrote it up, did a bit of quick analysis, and offered it to the world online. When the Doppelgänger branch of Music Box Films decided they wanted to distribute Penance on DVD, they asked for the essay. The it’s come out in a good edition (alongside Eddie the Sleepwalking Cannibal, worth a look, and other genre fare). My essay is preceded by one by Tom Mes of Midnight Eye, who discusses the film’s relation to its source novel and pinpoints its exploration of “the gray area between the mundane and the ghastly.” there’s also an informative interview with Kurosawa. As a five-part TV series, Penance fits its plot to the installments pretty rigorously. A little girl is assaulted and murdered, and only her four playmates have seen the killer. Taking advantage of the serial structure, Kurosawa begins each episode by revisiting the original crime, picking details relevant to what we’ll see but expanding the sequence a bit by tracing each girl’s efforts to notify the community. It’s a sophisticated version of the “Previously on [name of series]” recaps we commonly get in TV serials. 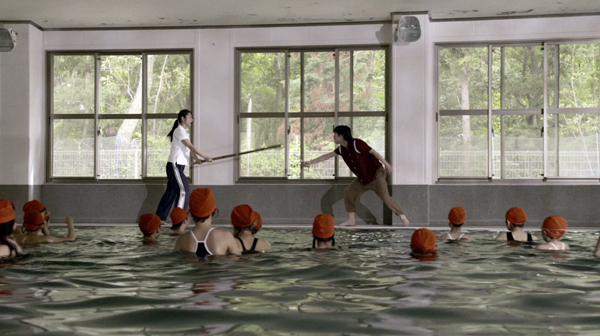 After revisiting the killing and showing the aftermath as it affects each girl, every installment shows the children gathering for a grim birthday party. On that occasion Emiri’s mother Asako demands that the girls either find the killer or do penance for their lack of vigilance. After this juncture, each of the first four installments attaches the narration to one girl’s viewpoint fifteen years later. 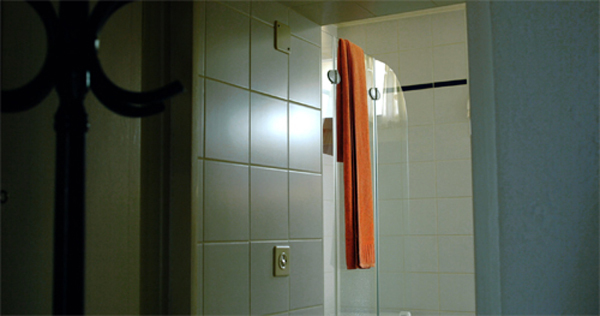 The episodes trace the awful effects of the crime on the girls’ personalities and their adult lives. Each one gets involved with an unstable man, with catastrophic consequences. 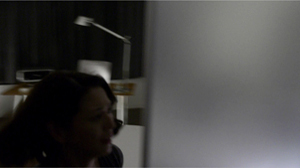 In each episode, Asako reappears at a critical moment to demand penance or to absolve the woman. The fifth episode centers on Asako herself: her immediate reaction to her daughter’s death, her search for the killer, and her realization that the crime has roots in her own past. I was happy to get a chance to see Penance again, because it’s continually engrossing and quite moving. It also exemplifies the sort of clean, classical genre filmmaking that doesn’t get done in America very much. After watching all the GPS views and whooshes down to street level and nonstop bludgeoning supplied by Run All Night (still, an okay movie), it’s a pleasure to turn to a film that builds its tension through a fixed camera, calm clarity, and performances suggesting suppressed menace rather than explosive confrontations–though there are a few of those too. Penance would be something for young filmmakers to study. It shows how locations can be used elegantly and economically, and how the inability to get extreme long shots in cramped quarters can actually be an advantage. Classrooms, offices, and gymnasiums are used with a sober restraint, each one given defining geometry and color scheme. A crucial confession takes place in a police station being renovated, and Kurosawa lets the scene unfold in a way that continually reveals surprising bits of space, such as a cop standing somewhat ominously at a distance. He’s unafraid of holding long shots because the shot is propelled by the drama, not the cutting pace. Here’s another example that illustrates the Monroe Stahr rules of storytelling: not a car chase or gun battle, but a quietly puzzling situation that evokes curiosity and suspense. Asako has gone to a drawer and withdrawn a ring. We’ve not seen it before and have no idea what it signifies. She crosses the room, as if to do something with it. Before we find out, cut to her husband in the hallway. This cut initiates a take lasting over three minutes. When he reaches the doorway he catches her hurling it angrily into the wastebasket. So now we know he knows…but what? 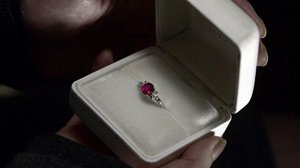 Reminding her that she’s treasured this since college, he fetches it out for her and quietly leaves. As she starts to explain, she follows him into the corridor. The camera pans right to reframe their new confrontation. …but then she confesses her secret. He pulls away from her. She tries to embrace him, looking for solace, but he shuts her out and withdraws. She’s left to fall to the floor crying in shame, in that classic attitude of distraught Japenese women. The highest pitch of the drama–Asako’s revelations–has been given a close view, but the action has led up to it and away from it through character blocking, not cutting. The situation unrolls and builds tension completely through dialogue, body language, and facial reaction. 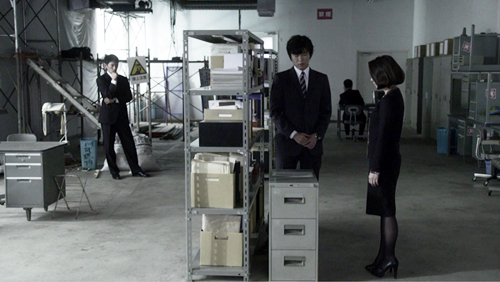 But it could hardly be considered theatrical, because the camera has judiciously strengthened certain parts, concealed others, and obliged us to shift character perspective (Asako-husband-Asako) through slight changes of position. And playing so much of the scene in distant and dorsal shots harks back, inevitably, to Mizoguchi. As I mentioned in the early entry and the liner notes, Kurosawa always knows where to put the camera–no small accomplishment these days–and there’s as much power in this apparently simple scene as in any of the grandiose Steadicam movements in more inflated films. Trust the audience to sense the undercurrents, and they will follow you if you have mastered calm, precise cinematic storytelling. The Doppelgänger gang released Penance on DVD last November. I’m only a little less late in mentioning the arrival of Matt Zoller Seitz’s newest addition to The Wes Anderson Collection: The Grand Budapest Hotel. The decision to base a big, luscious book on a single Anderson film gives this ambitious picture even deeper treatment than we saw in the Collection’s individual chapters. From Seitz’s rich opening appreciation to the amiable list of contributors (The Society of Crossed Pens), the book is a serious divertissement, a wonder-cabinet of images, ideas, and semi-childish fun. It’s partly a making-of book. We get production stills, script pages, set designs, storyboards, animatics, special-effects secrets, costume designs, and the now-celebrated photochrom images. Seitz has larded his captions with shrewd critical points about lenses, compositions, lighting, and staging—not the normal gee-whiz commentary of an “authorized” making-of. Anderson’s enjoyment of practical effects, his judicious use of digital tools, and his most complex voice-over narration yet come through vividly. Seitz is especially interested in the history and artistic models behind the movie. His interviews are crowded with information about Anderson’s inspirations, which seem endless. Of course there is Stefan Zweig, who is given several pages of intense discussion. We also learn of Anderson’s interest in the exiled directors like Lubitsch and Wilder, who gave us both a Europeanized Hollywood and a Hollywoodized Europe. There are homages to The Red Shoes and Colonel Blimp and Letter from an Unknown Woman. Anderson was equally committed to a broader historical context, passing his story through different eras—the bell-jar atmosphere before the Great War, the premonitions of World War II (itself never shown), and the postwar emergence of Communism, seen in the revamped and decaying Hotel in the 1960s. Seitz has even spotted borrowings from James Bond movies. As skillful an interviewer as he is graceful an essayist, Seitz induces Anderson to reveal the density of this sweet, sinister movie—the cinematic equivalent of Chandler’s line about a tarantula on a slice of angelfood cake. There are as well interviews with Ralph Fiennes talking of the “farce spectrum,” costume designer Milen Canonero ordering up a Prada leather coat for Willem Dafoe, the very great composer Alexandre Desplat explaining his compositional procedures, production designer (and Milwaukee native) Adam Stockhausen discussing the magnificent settings, and DP Robert Yeoman talking about shooting on 35mm. Anderson’s fussbudget aesthetic meets its match in a book crammed with fastidious minutiae. Whimsy, as Lewis Carroll and G. K. Chesterton understood, escapes coyness only when it’s pursued rigorously. Seitz reviews the careers of the major players in postage-stamp pasteups. When Anderson is revealed as a connoisseur of frame stories, flashbacks, and other fancy techniques we favor on this site, Seitz provides a four-page spread of pick hits of voice-over. Max Dalton, the illustrator, gets the message. With their modestly lowered eyes and sidelong grins, his neo-New Yorker figures swarm these pages but assemble, obediently rank and file, in the end papers. Most surprising of all for a production dossier, in-depth criticism is not only allowed in the tent but given its turn in the spotlight. Christopher Laverty analyzes the costumes with a precision seldom seen in academic writing, while Olivia Collette contributes an enlightening study of Desplat’s score. Steven Boone examines the art direction, with a special sensitivity to how set designs are fitted to anamorphic optics. Ali Arikan brings his characteristic lucidity to a study of Zweig’s Vienna and the traces it leaves on his fiction and Anderson’s film. The essays show that analytical film books, like volumes of academic art history, can be merit high production values. My contribution, a revamping and nuancing of an earlier blog entry, looks at how Anderson adjusts his planimetric staging and shooting to different aspect ratios. For me, this assignment was the big time. No academic book, my usual publishing platform, could have illustrate my ideas so splendidly. I’m proud to be among fine company, and I like the fact that people are reading and buying the thing. Of course very few film books have the built-in audience of a Wes Anderson project. As I wrote last summer, he brings his brand with him. But that isn’t, I think, a bad thing when the results are as lively and lovely as The Grand Budapest Hotel. Last year I had to go to Hong Kong the weekend the film opened. I dashed to it during my first day in town, then squeezed in two more screenings during the festival. Now, after a year and many more viewings, it hasn’t cracked yet. At the moment I think of it in relation to the “hotel” books and movies of the 1920s and 1930s. I think of its predecessors, such as Arnold Bennett’s 1902 novel The Grand Babylon Hotel. (Did Anderson read it? I don’t find a mention here.) I remember those star-filled ensemble comedies of the 1960s like The Pink Panther and The Great Race, twitching with celebrity walk-ons and the cartoonish effects Anderson relishes. In short, I think about film history, and it pleases me when a film and its book trace out, in dazzling detail, an exceptional movie’s debts to tradition. Keep your Birdman and Gone Girl and Jersey Sniper (or is it American Boys? ): This is the 2014 American film that will be remembered for decades. Last year’s other big film for the future is, no doubt now, Adieu au Langage, just coming out on Blu-ray as Goodbye to Language from Kino Lorber. I’ve said my say about this item twice (here and here) so about all I have to add is that after several more viewings, I’m still convinced of its excellence. Kino Lorber gives us two versions, the 3D one and the “merged” 2D one. The 2D one is still one hell of a film, but of course in 3D it’s spectacular. The disc includes an essay developed beyond my blog entries. It says some new things, but it’s inevitably incomplete. Godard’s films so teem with ideas (both intellectual and cinematic) that there’s almost always more to notice. “One can put everything in a film,” he remarked back in the 1960s. “One must put everything in a film.” He sort of does, especially here. Both versions belong on every cinephile’s shelf. If I didn’t already have a 3D TV (purchased so I could watch Dial M for Murder and Gravity properly, and even freeze the frame), I’d get one so I could see Farewell to Language whenever I wanted. Consider your options. 3D TV is now dead enough to be cool. Thanks to Austin Vitt of Music Box films for picking up Penance, and Richard Lorber and Robert Sweeney for recruiting me for the Godard disc. I’m indebted to Matt Zoller Seitz for bringing me on board the Anderson project, and to Caitlin Robinson of Twentieth Century Fox for loaning me a print of The Grand Budapest Hotel so that I could study its aspect ratios in their natural habitat. Midnight Eye features Kohei Usuda’s very detailed review of Kurosawa’s latest project, an entry in the “idol movie” genre. 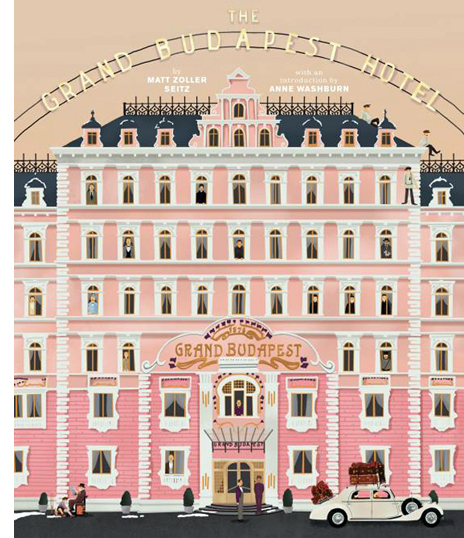 You can find MZS’s video introducing the Grand Budapest book here. This entry was posted on Sunday | March 29, 2015 at 4:05 pm	and is filed under Directors: Anderson, Wes, Directors: Godard, Film comments, National cinemas: Japan. Responses are currently closed, but you can trackback from your own site.